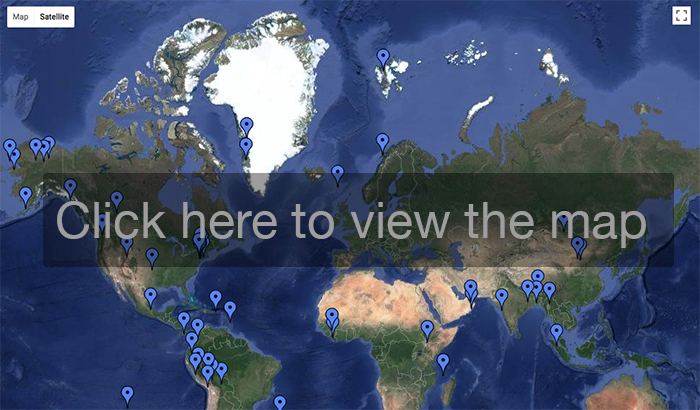 [LAST UPDATED APRIL 11, 2019] On every continent and every ocean, Earth Institute researchers are studying climate, geology, natural hazards and other dynamics of the planet. Below, a list of projects in rough chronological order. When logistically feasible, journalists are encouraged to cover expeditions. Work in the U.S. Northeast is listed separately toward bottom. 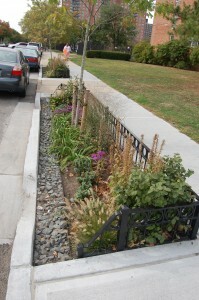 Unless otherwise stated, projects originate with our Lamont-Doherty Earth Observatory. More information: contact senior science editor Kevin Krajick: kkrajick@ei.columbia.edu, 212-854-9729. With Alaska’s Arctic National Wildlife Refuge about to open to fossil-fuel exploration, ecologist Natalie Boelman and colleagues from several institutions will assess the effects of human intrusion on wildlife, from caribou to birds. Using bioacoustic sensors and camera traps at 90 locations, they will compare three areas: Alaska’s already heavily industrialized Prudhoe Bay region; the National Wildlife Refuge, which will probably see new intrusions soon; and Canada’s Ivvavik National Park, which is protected from development. Acoustic sensors will pick up everything from bird calls to mosquitoes buzzing, along with human-produced noise. Using artificial intelligence, sounds will be combined with camera images to analyze the abundance and activities of animals at each site. Project will run for 5 years. On the tundra of Alaska’s North Slope, once-rare wildfires sparked by lightning are multiplying in response to hotter, drier summers. A team including paleoclimatologist Benjamin Gaglioti is investigating the fires and their effects on vegetation and underlying permafrost. 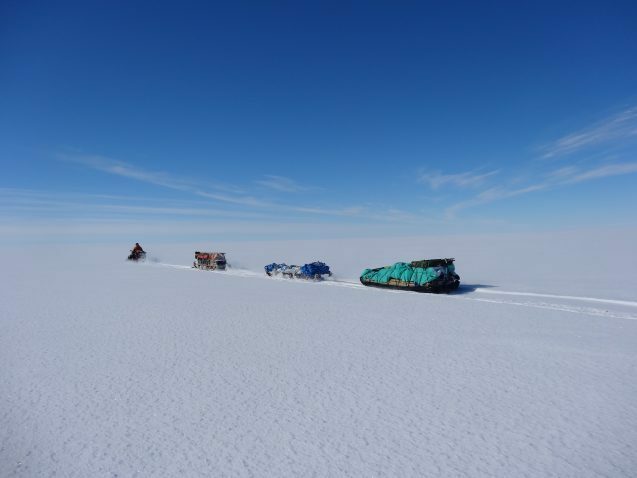 This spring they will travel by snow machine from the Dalton Highway to remote Ahaliorak Lake to core sediments, which they hope will provide a 35,000-year record of tundra fires. In central Australia, geodynamicist Jacqueline Austermann and postdoc Mark Hoggard of Harvard will investigate a series of sedimentary basins that formed 850 million to 400 million years ago. The region is a prime example of cratonic basin–an ancient continental interior that for unknown reasons has sagged, then filled with sediment. These features cover more than 10 percent of the continents, including North America, and form major reservoirs of hydrocarbons, minerals and freshwater aquifers. 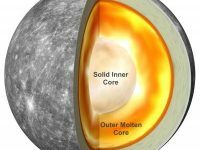 The researchers will examine the thickness, age and other qualities of the basins, and use powerful computers to try and understand how they formed. Results should have implications for resource exploration, and understanding of plate tectonics and variations in global sea levels. The period 720 million to 540 million years ago was marked by violent swings in climate, including ice ages that glaciated most or all of the planet, and marine evolution of the first complex organisms. Geologists Nicholas Christie-Blick and Sarah Giles will sample rocks and examine carbon isotopes in ancient sea bottoms from this time in the Flinders Ranges of South Australia, to help chart the ocean’s hospitability to life. 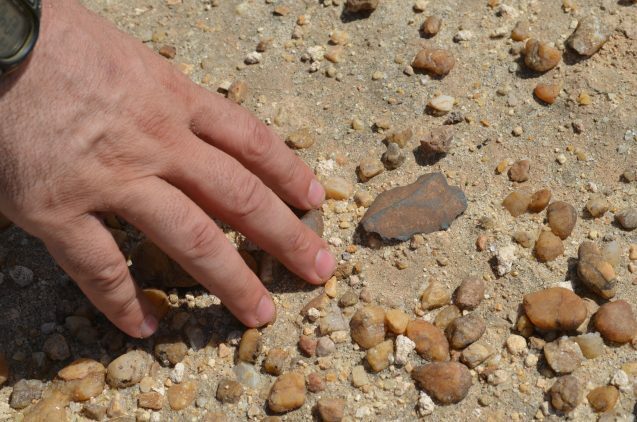 Rocks about 580 million years old in one formation may be key, as they contain deposits ranging from the onetime sea level to more than a kilometer below it, along with deposits of volcanic ash that may aid in telling precisely how old various layers are. 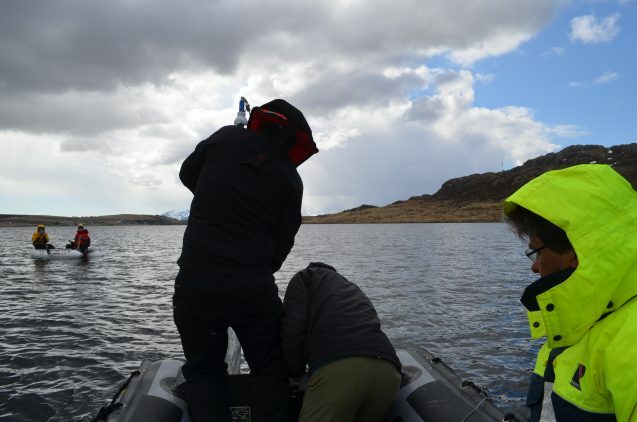 As part of a five-year project to reconstruct weather patterns and extremes over the past millennium, Lamont scientists led by Laia Andreu-Hayles will sample rings from ancient trees in Peru and Bolivia. Work will extend from 15,000 feet in the Andes into lower elevations of the western Amazon. 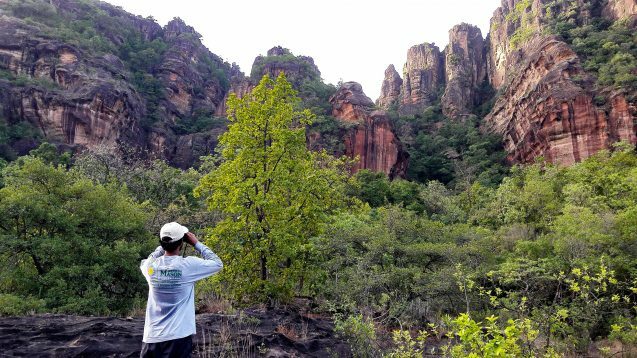 Data will be merged with separate studies of cave formations and old tree trunks washed into caves and preserved, to yield a long-term picture of climate variations in this region. Among other places, the researchers will sample around Tacna in southern Peru, and in Bolivia’s Madidi National Park. Project is led out of the State University of New York, Albany. Researchers Laia Andreu Hayles and Benjamin Gaglioti plan to fly by bush plane to remote areas in northern Alaska to revisit slow-growing trees first studied by Lamont scientists some 30 years ago. Through the use of cores and onsite measurements, the study is aimed at discovering how trees have fared under the warming climate. In some places, forests are thought to be greening and growing faster, while in others, heat stress may cause them to die. The work will take place in the jagged granite Arrigetch Peaks region of the Brooks Range. 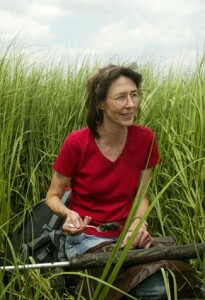 Principal investigator: Rosanne D’Arrigo. The past couple of years, researchers including paleoclimatologist Benjamin Gaglioti have studied ancient “ghost forests” recently exposed by melting ice at Alaska’s La Perouse Glacier. They have now turned their attention to intact living forests adjacent to the glacier, whose growth they believe may have been slowed by the chilling effects of the nearby ice during times when the glacier was growing, and speeded when the ice waned. In addition to sampling tree rings from these forests, last year they deployed sensors to take the temperatures of some trees every two hours. In August, they will return to collect the sensors, and their data. The team will land by bush plane and camp on a remote beach. Largely due to warming climate, each summer in recent years, millions of acres of Alaska’s spruce-dominated boreal forests burn, often to be replaced by deciduous trees. This may eventually cause profound physical and ecological shifts regionally, and maybe continent-wide. Wildfire scientist Winslow Hansen will survey scores of post-fire plots to better understand how tree succession plays out, and whether transitions to deciduous trees are permanent. Among other things, he will census trees, measure canopy cover and examine soils. Study plots range from 15 to 75 years post-fire. The data will be used to improve interpretations of satellite imagery, and model what forests might look like 150 years after burning. Disaster-planning expert Andrew Kruczkiewicz of the International Research Institute for Climate and Society will visit central Asian countries to consult with officials and NGOs on how to incorporate medium-term (weeks to months) climate forecasts into planning for disasters including flash floods, mudslides, and heat and cold waves. Visits will include meeting residents of high-hazard areas to discuss their perceptions of risk, and what might most help them. Visits to each country will last 6-10 days. Many of Africa’s fast-growing megacities suffer from drastic air pollution, often from sources not present in developed countries; as many as 700,000 people may die prematurely each year as a result. Few nations are able to even measure the pollution, much less come up with remedies. As a first step, atmospheric scientist Dan Westervelt will set up a network of 15-some monitoring devices in sprawling Kinshasa and neighboring Brazzaville. These will allow scientists and authorities to chart soot, ozone and other substances produced by a multiplicity of sources: residential burning of wood and charcoal for cooking; emissions from poorly maintained vehicles using low-quality fuel; diesel soot from private generators used during frequent power outages; and burning of garbage due to a lack of refuse collection. The project may expand to other cities. Using innovative new instruments, geochemist Jennifer Lamp and colleagues are measuring erosion of rocks in Antarctica’s cold, windy McMurdo Dry Valleys, Earth’s best analog to Mars. It may take millions of years for visible erosion to take place, but the instruments pick up minute acoustic emissions that signal openings of tiny cracks; from these, scientists may be able to extrapolate erosion rates. The work is expected to open new vistas onto the evolution of the surfaces of both Earth and Mars. 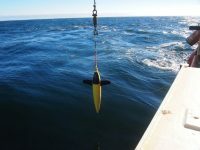 The researchers will leave their instruments behind during their initial trip, and return in fall 2019 to retrieve them, and the data they have collected. Geologists Mike Kaplan and Joerg Schaefer, and colleagues at Chilean institutions are working in Patagonia to investigate how changing climate has affected glaciers in the past. There are strong indications that climate patterns in the southern hemisphere glaciers are out of step with those in the north; understanding why will help scientists project the effects of modern climate change. The work will involve mapping features carved by past glaciers, and collecting samples of rock left by retreating ice. Fieldwork will take place intermittently over coming years. A few rare stands of old-growth forest have survived in coastal parklands in the New York metro area. 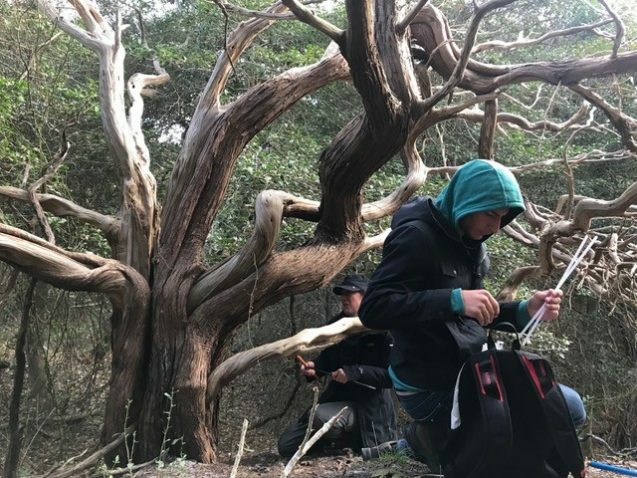 Researchers including paleoclimatologist Nicole Davi are sampling rings from these trees, dating to the early 1800s, to see if they have recorded past climate events including large storms that would have battered the trees or inundated them with salt water. (Many were killed during Hurricane Sandy.) The project is aimed at teasing out the weather history of the coastal area, at a time when big Sandy-like storms are expected to increase and sea levels to rise. Work will take place at New Jersey’s Sandy Hook; Fire Island; and Montauk. New York has committed to radically cutting production of greenhouse gases. 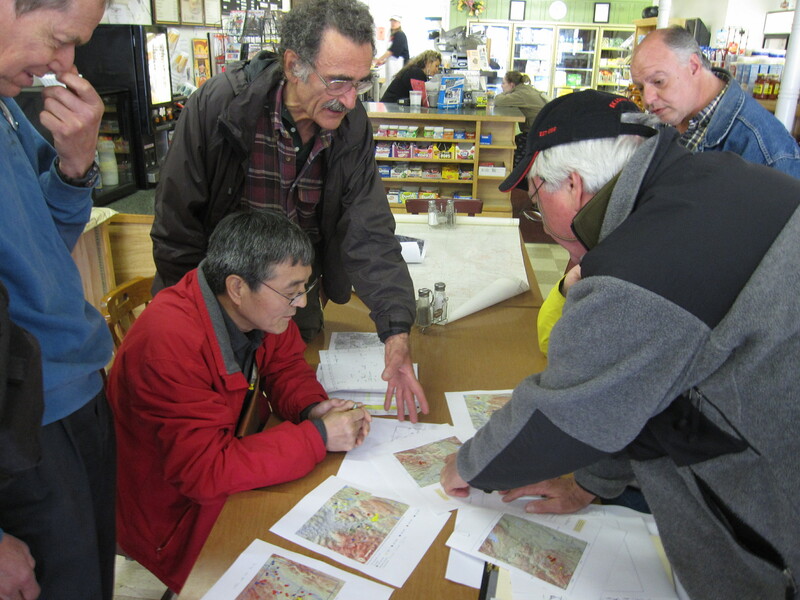 A first step: figuring out how much the city is already producing. 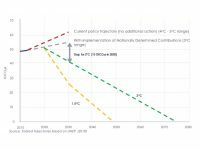 Usually, such estimates are made “bottom-up,” by measuring or modeling emissions at the scale of individual sources such as roads, buildings and landfills, then extrapolating to larger scales. Atmospheric scientist Roisin Commane and colleagues are developing a new “top down” approach, by building a network of sensors to directly measure concentrations of carbon dioxide and methane around the city. Data will be combined with maps of pollution sources and local wind dynamics, to form a comprehensive picture. Initial instruments will be set up in spring 2019, to be followed by others; measurements may also be taken from aircraft. This is expected to be a long-term effort. To the alarm of many, the federal government is moving to weaken controls on coal-burning power plants that emit mercury, a neurotoxin permeating the global environment. Recently, it was found that a major route for pollution comes when plants take up gaseous mercury from the air, then transfer it to soils when they die off or shed leaves; outwash then goes into rivers, lakes and oceans. Atmospheric scientist Roisin Commane and colleagues aim for the first time to directly measure and understand how the process works in vegetation by placing instruments in western Massachusetts’ Harvard Forest above and below the canopy. Measurements will run through 2019. In 2020, the experiment will move to Soltis Research Center in Costa Rica. In collaboration with Harvard and Texas A&M universities. Many commercial warm springs popular in the 19th century have been left to decay or been demolished; locations of some have been lost altogether. Geologists Dallas Abbott and Bill Menke are searching out sites in New England and New York state to study how subterranean conditions may be evolving. They will compare century-old temperature readings with new ones to judge whether possible subtle rises could indicate if climate change has affected underground waters. Also, brand-new geophysical maps of the deep earth under the region show that some parts are hotter and more fractured than normal; this could signal coming volcanism (albeit millions of years off). Could some of the hotter springs be tapping these depths? Abbott and Menke will work with local historians to relocate some sites. Volcanoes Under the Northeast U.S.? Lamont geophysicist Christine McCarthy has teamed with geotechnical engineer Liming Li in experiments to re-create what happens when a mile of ice moves over bedrock. 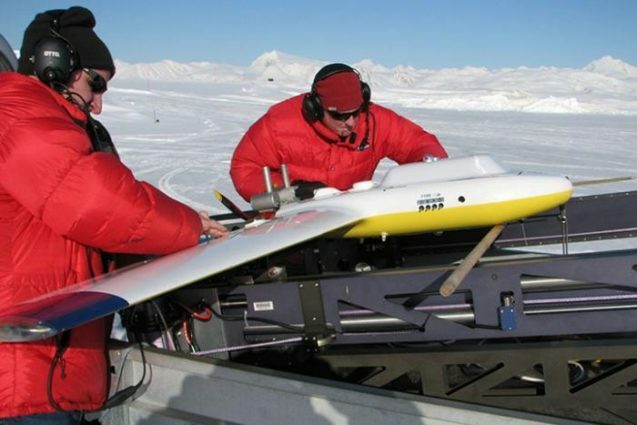 In the first experiments of their kind, they will operate a centrifuge loaded with material intended to duplicate the extreme forces at the base of a glacier. Experiments are aimed at understanding what makes glaciers either stick in place or slide forward—a key but little understood issue at the heart of future projections of sea-level rise. The scientists are particularly interested in how water and subglacial debris may interact to abrade bedrock and form meltwater channels. The work is being done at Columbia Engineering School. Seismologists Leonardo Seeber and Marie-Helene Cormier are looking into performing marine surveys of an earthquake-prone transform fault bordering southern Cuba–one of the most dramatic submarine scarps on the planet. The project, still in discussion stages, would involve work both on land and at sea with Cuban colleagues. Anthropologist Benjamin Orlove hopes to travel to mountainous Kyrgyzstan and Tajikistan to examine the effects of fast-waning glaciers on rural herders and farmers. Glacial meltwater has long provided seasonal resources to many areas, but climate change is causing the ice to collapse. Orlove has done similar studies in Peru, Bhutan and Washington state. An interdisciplinary team of microbiologists and ecologists plans deep DNA sequencing of a core of permafrost from Alaska’s North Slope built up over the last 12,000 years. They hope to use new methods to understand how bacteria, viruses, fungi, plants and animals have changed in response to shifting environmental conditions. The Arctic is rapidly warming, causing acute changes to ecosystems; this study should shed light on how this might proceed in the near future. Members include Jeffrey Shaman, director of the Earth Institute’s Climate and Health Program; ecologist Jonathan Nichols ; and others. In summer 2019, the yearly Piermont Marsh Secondary School Programs will pick up again. High-school students work in marshland along the Hudson River at Piermont, N.Y., to collect data on carbon flux, nutrients, sediment accumulation, heavy metal contamination and wildlife, for a long-term study on the marsh’s health and evolution in the face of sea-level rise and other forces. Program head: Robert Newton. Environmental health scientist Steven Chillrud is developing air sensors for several groups studying pediatric asthma. The sensors are designed to be worn by test subjects to measure real-time exposure to pollutants. Pilots will take place this year in New York City, Salt Lake City and Los Angeles. In conjunction with Matthew Perzanowski of Mailman School of Public Health. The Columbia Water Center has signed an agreement to help the Mexican city of Monterrey investigate how to improve its hard-pressed water system. Up to a third of the water supply may be siphoned off by thieves or otherwise lost. The Water Center, led by director Upmanu Lall, will consult on the possibility of recycling water; rainwater harvesting; defending against climatic variability; and dealing with social and economic issues among users. Soil scientist Benjamin Bostick is working with Oglala Lakota high-school students at South Dakota’s Pine Ridge Reservation to test soils for mercury and other toxins produced by coal-burning power plants. In summer 2019, Bostick hopes to bring New York City high-school students to work with their peers on the reservation. Biological oceanographer Ajit Subramaniam co-leads a cruise to investigate the impact on the marine food web of the huge plume of nutrients that flows from the Amazon River into the tropical Atlantic Ocean. 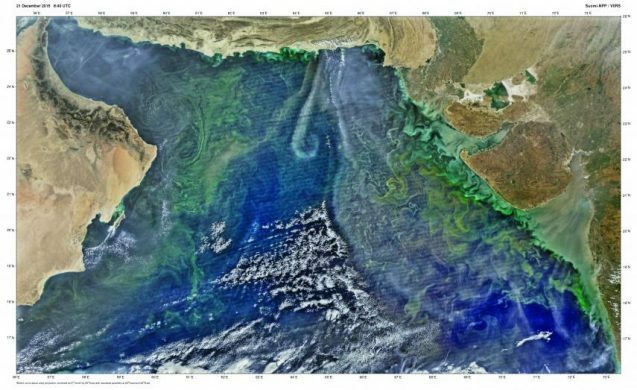 At times, the plume extends more than 2,000 kilometers offshore and covers more than 1 million square kilometers. Cruise departs and returns to Barbados, June 12-July 8, 2019. Geochemist Wade McGillis is watching coral reefs and marine grasses for the effects of global warming and pollution, using instruments that monitor the metabolisms of the organisms in real time. This year he plans to visit Thomas, U.S. Virgin Islands; Corpus Christi Bay, Texas; and the Mediterranean island of Corsica. McGillis also works in reefs off Florida, Puerto Rico and the Galapagos Islands. Researchers from eight institutions including glaciologist Marco Tedesco are planning a three- to four-year project to investigate the dynamics at the front of the Helheim Glacier, one of east Greenland’s largest, as it pushes out a fjord and into the ocean. From a ship, they will collect data on the atmosphere, land and water abutting the ice, subsurface drainage and iceberg calving. Scheduled to begin summer 2019. Disaster expert Andrew Kruczkiewicz of the International Research Institute for Climate and Society is looking into incorporating medium-term (weeks to months) climate forecasts into decisions about running Bangladesh refugee camps to which hundreds of thousands of Rohingya people have been driven from neighboring Myanmar.